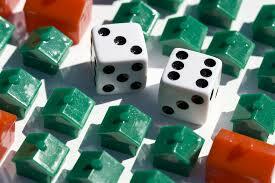 Should I Roll the Dice and Buy a Property Sight Unseen? Just recently we put an offer in on a townhouse that was listed as a regular sale at a slamming price. It was a Saturday evening when I was doing my daily property search and we called our realtor immediately and had her put in an offer. We were going off of the descriptions, pictures, and what we already knew about the area as support for our decision. Come Monday morning, we found out there were multiple offers and a cash deal that was willing to close in two weeks won the property. Setback? Not quite, at least we walked away knowing that it was indeed a good deal and that we made the right decision putting in an offer sight unseen. Because of our trusted relationship with our realtor and our knowledge of the area we were comfortable doing this. We already owned other properties in this area and because of our knowledge of the area we knew it was a smoking deal, we went for it knowing there would probably be a lot of competition. Often individuals and investors will buy properties sight unseen because they may be listed way under market value. If these individuals have a rehab team that they have worked with, then they'll buy the property and put it in the hands of their trusted team to get it ready to rent. However, not only are you competing with other rental investors, but flippers and wholesalers enter this world making it highly competitive. Flippers are looking to make a quick turn around sale to earn cash fast, while wholesalers get the properties under contract and then sell them to investors for profit. Many veteran investors may get to a point in their career where they will invest in a property without ever physically viewing it. As a novice investor, I’m sure you’re asking if this is for me? No. Starting out in long term investing (LTI) I think it is priceless for you to view the properties you are investing in. This can be such an educational tool for you for your future in investing. When viewing properties early in your LTI career you are able to learn about what important factors you should look for and questions you should ask before deciding to take the plunge. Often novice investors focus on the cosmetic aspects of a house: paint color, flooring, cabinets, counter top, etc. As important as those aspects are as the owner you will be responsible for the upkeep of the skeleton of the property. What do I mean by the skeleton? Expensive items like the hot water heater, air conditioning system, plumbing and electrical. These are all things that you must take into consideration. And in reality, these items can put a heavy financial burden on you as an investor if you fail to note these when previewing property. We must remember, as investors, to look at the total package of a property. Therefore, I highly recommend if you are just starting to become a LT investor that you preview the properties and learn to look at both the cosmetic and skeleton features of the property. Once you become a more seasoned investor and have a trusted real estate agent who knows what you are looking for then you may get to a point where you feel comfortable buying a sight unseen property. 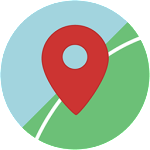 Quick Tip: What if a great property comes on the market that you know will go fast but you don’t have the time to view it? Answer: Do your due diligence in researching as much as you can about the property and have your agent do a walk-thru to see if it is something that you would want. Then, make an offer but make sure to have your contingencies in place in case something major or unexpected comes up.